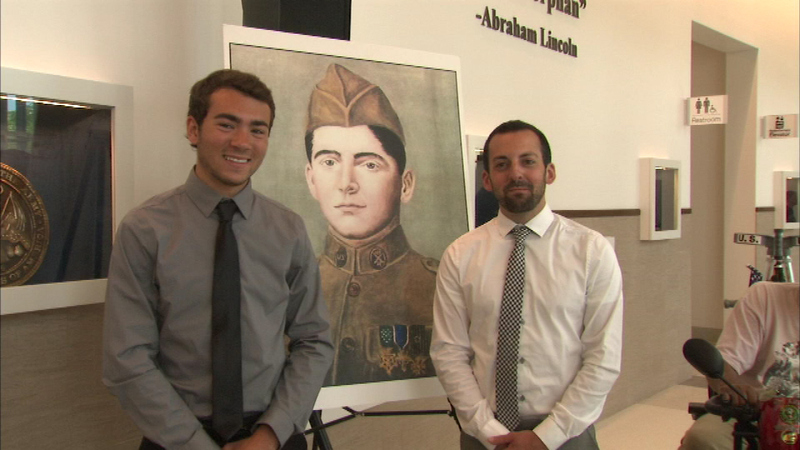 Hines VA Hospital honored U.S. Army Private First Class George Dilboy, who was killed in battle in France during World War I.
HINES, Ill. (WLS) -- A west suburban VA hospital hosted a ceremony for the first Greek-American soldier to be awarded the Medal of Honor. On Friday, Hines VA Hospital honored U.S. Army Pvt. First Class George Dilboy, who was killed in battle in France during World War I. Family members requested a Medal of Honor displayed at Hines, where a statue of Dilboy was dedicated back in 1942. At the ceremony, his family members unveiled his Medal of Honor. Hines is the largest VA hospital in Illinois.